Estadio Municipal Jose Zorrilla will host Friday’s football game between Real Valladolid and Villarreal. 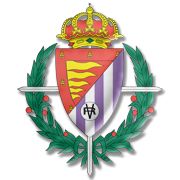 Real Valladolid aim to make amends for an embarrassing 4-0 loss to rock-bottom Huesca and we are positive that they are going to fight tooth and nail against Villarreal. La Pucela undisputedly produce much better showings at home than on the travels and seeing that the visitors are low on confidence ahead of the trip to Valladolid, home win should be considered. The Yellow Submarine are on a nine-game winless run in La Liga and it has to be noted that they dropped a two-goal advantage in a 2-2 draw with Espanyol at the weekend. New boss Javi Calleja has been struggling to help the team find their best form and, taking everything into account, we do not believe that the visitors are capable of spoiling La Pucela’s party at Estadio Municipal Jose Zorilla. Kiko Olivas is an experienced Spanish defender, who was born in Antequera on August 21, 1988. Olivas started his youth career at Malaga and he continued playing for los Boquerones at senior level. The 189-cm tall centre-back made 5 appearances for Malaga in La Liga before joining fellow Spanish side Villarreal. Kiko Olivas made only 6 appearances for the Yellow Submarine in the Spanish elite division, but he played over 140 games for Villarreal B in Segunda Division. Olivas played for the likes of Cordoba, Sabadell and Girona as well before joining Real Valladolid. La Pucela impressed in the 2017/2018 Segunda Division campaign and, as a result, they secure promotion to the Spanish top flight. Kiko Olivas has 4 caps for Spain U21 team, but he has yet to make his debut for the senior team. His preferred foot is right and it has to be noted that his contract with Real Valladolid should expire on June 30, 2020.